It's Time To Write Christmas Cards Again! Home Christmas It’s Time To Write Christmas Cards Again! I hope that you have enjoyed reading through the Sim’s Life Christmas Gift Guide this year – some really fantastic inspiration for all, with more to come! However, in the interest of not promoting bankruptcy in the run up to Christmas, let’s remember that Christmas is about spending time with your nearest and dearest! The spirit of Christmas really is to get together as a family and enjoy the festive period together – although you will also have to deal with guaranteed family disagreements. Go on, admit it, it would be Christmas without a good argument! There really is so much sentiment in sending Christmas cards with added sparkle and they are always fondly received. I am particularly disorganised when it comes to sitting down and spending time writing Christmas cards, it isn’t the most enjoyable task! However I do love receiving cards, never seeming to recycle them as I have several year’s worth mixed in with all my Christmas decorations. 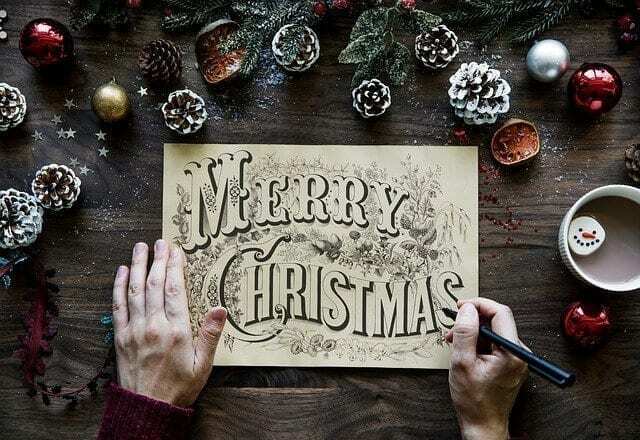 I absolutely love receiving funny Christmas cards and have found that Hallmark offer a fantastic range of Christmas cards that will certainly put a smile on the recipients face! Definite mantelpiece showstoppers! Who doesn’t love Elf? Possibly the greatest Christmas film ever… plus Will Ferrell’s most memorable acting role! With something fitting for all, you are destined to find the perfect Christmas cards. If you are more traditional with your Christmas card giving, then the range of card box sets will be perfect, especially to send to neighbours – apologies to my own neighbours for the spoiler! Whether you are looking for a bottle gift bag or you have realised that a Christmas gift bag takes away the need to wrap presents, then these gift bags will definitely make your life easier! Fun, vibrant and somewhat quirky, these will not look out of place under a Christmas tree! Hallmark definitely have you covered in the cards and wrapping stakes, but did you also know you can buy gifts from Hallmark? Itty Bitty plush collectables make for wonderful stocking filler gifts as well as perfect advent calendar gifts to open each day. I love Hallmark cards they are such good quality and some really great designs too!! I need to get out and get some cards I’m seriously lacking! !